Seasonal | 52 Week Photo Challenge with Some Pretty Creative Themes! 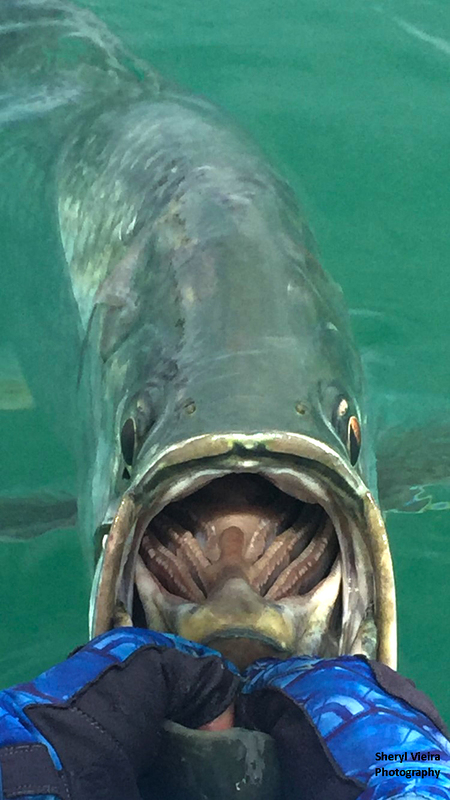 May-August is the peak of the tarpon season in southwest Florida and the time of year you start seeing pods of tarpon rolling. These gorgeous, large, silver fish travel in groups of between 30-100 to go offshore to spawn. They’re fun to watch but even better to fish! I used to run the Cystic Fibrosis Foundation chapter in Sarasota and held an annual Mercury Red-Bone Fishing Tournament out of Palm Island with the lovely chairwoman, Jill Beckstead. The winning angler our last year of the tournament was her former husband, Dean Beckstead owner of Useppa Island, and fishing guide, Rhett Morris of Beyond Borders Outfitters Fishing Charters out of Punta Gorda. I have always loved the sport of fishing thanks to my Dad but after this tournament and learning all about the tarpon and the season, I was hooked to say the least. Captain Rhett Morris offered to take me out for a chance to experience this special time of year for myself right after our Red-Bone tournament ended. It was a Wednesday evening and we went out to the Boca Grande Pass. At first, there were a bunch of boats out there. Once we settled in and landed our first catch which took approximately an hour to get to the boat, we ended up being one of only three boats remaining. Rhett asked if I was ready to catch more and I had to decline even though there were more tarpon pods than one could shake a stick at, I was exhausted and just didn’t have it in me. They say it generally takes approximately 30 minutes to bring a tarpon in after it jumps, fights, challenges and exhausts itself. For me it was an hour and I was the one who got exhausted. It was such a thrill. I try to get out there annually to catch more. My Dad also can’t stand that his daughter has one under her belt and he doesn’t so really my quest is for him to catch one. This year I went to Facebook and socially asked for recommendations on guides in Cortez. A friend of mine whom fishes often suggested Jason Stock of JM Snooky Charters. He was serious about his fishing, extremely experienced and good with people. And yes, we had two tarpon interactions. One got to the boat while the other got away! Jason did say for the one I lost that it was a 150 pounder as it took my bait, jumped out of the water, flew across the sky and said see ya later as he spit my hook out! I was so thankful I had witnesses to see for themselves the giant beauty flying through the air before it disappeared back into the Gulf waters. What a blast. Tarpon season is one special time and provides memories for a lifetime. We’re already discussing plans for next year! Wow! … I think that photo is great – AND the colors (I was about to try a canvas for a mixed media thing and I think I will use those colors!) … I know nothing about tarpons and this was just SO interesting. I have to say – I really liked what your friend did to the photo too!